Managed Print Solutions - Turn to us. Average printing costs can add up to between 1-10% of your total revenue. If un-managed, these costs can easily spin out of control. Implementing a print strategy through Managed Print Services could provide your organization with cost savings up to 30%. We currently manage thousands of print devices for hundreds of organizations. We provide the people, the platform and the proactive services to keep your printers running smoothly. In this eBook we will discuss how Managed Print Services programs take the frustration and inefficiencies caused by ineffective print equipment out of your hands. MPS programs put your print technology responsibilities into the hands of a company equipped with a team of print professionals to fully monitor and manage all of your printing needs. Entering into a Managed Print Services program will provide continued cost-savings and allow your staff to focus on their tasks and priorities. Our talented and experienced employees are dedicated to helping organizations manage their information by applying network expertise to voice, data, video and print solutions. We have a team of technology advisers working to make your company work better, faster and smarter. We specialize in office products and furniture, business machine, print and document management, and audio/video systems. 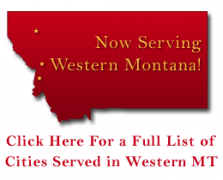 Currently we serve customers of all sizes throughout Montana. Our mission is to provide exceptional customer care for you and your business. We do this by giving the best of ourselves to our peers and customers each day and providing innovative solutions for your furniture, supply, printing and technology needs. Call us at 1-800-227-5133 to setup a free Managed Print Services Consultations with one of our print technology specialists. MPS, or Managed Print Services, is a program that stream-lines printer management, monitors usage and minimizes costs associated with printing. These costs can add up to between 1-3% of your total revenue; MPS programs work to minimize these costs by supplying you with the quality technology your business goals require and monitoring the use of this equipment to see where performance changes can be made. These programs are offered by experienced print providers who are experts at managing and monitoring printing technology. Many MPS programs save organizations money because they allow employees to focus on their priorities by leaving printing technology responsibilities to experienced professionals who perform these tasks on a daily basis. There are many components involved when you enter a Managed Print Services program, and this eBook will dive into each one individually to give you a comprehensive understanding of how MPS programs work and how they can save you money. Each MPS program begins with an assessment of your current print technology and your desired business goals. This allows your print provider to understand your current print costs and what your organization needs to be successful. Before you agree to work with a print provider and enter into a MPS program, an assessment should be performed to uncover inefficiencies and identify cost saving opportunities. 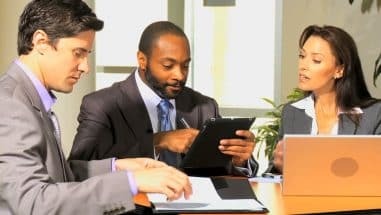 Document productivity, distribution and output are some of the last un-audited expenses in an organization, yet its expenses are 1-3% of the total revenue of an organization. Through a comprehensive analysis of your print environment, there is a potential to reduce those costs by up to 30%, while increasing worker productivity. One of the best parts of the assessment is that it depicts, in the form of an actual dollar amount, the estimated savings your company could experience. 1. What are your top business objectives that are impacted by your print technology? 2. Do you have any major customer requirements that need print technology? 3. What measurements do you use for productivity management? 4. Are there any bottlenecks in business workflow that need to be addressed? 5. What is your most significant technology challenge? During the initial assessment your MPS provider will inventory your current equipment. This includes documenting the type of printing devices, the number of devices, unique models, age and if the device is networked. The results often surprise many organizations. This is because many organizations lack an overall strategy for their print environment and equipment purchases are made as needed, without regard to any long range plan. Next, the number of employees will be determined to calculate the device to employee ratio. Most organizations employ one document imaging device per three and a half to four employees. Organizations that utilize a managed approach can increase the employees per device ratio to the optimal range of 10 to one. During the technology overview and device to employee assessment your service provider will note the placement of your printing equipment. A Managed Print Services program will develop a placement strategy that optimizes equipment utilization and functionality per your employees’ needs. Among the hidden expenses of your print environment are the costs of purchasing and internal support. During an initial assessment, your provider will gather these costs, with your assistance, in order to reflect the most accurate summary of your total print costs. The number of vendors you purchase from can affect your costs. The more vendors you have the more likely you are to have excessive costs used to process purchase orders and invoices, provide internal user support and maintain each device individually. Also, equipment model variety usually adds to your vendor quantity. The more variety you have, the more supplies you will have to stock, plus each will likely have its own service and maintenance policy or contract. This typically increases costs related to IT support, procurement and administration and supplies inventory management, spoilage and obsolescence and more. Your MPS provider will assess these costs and take them into consideration when proposing changes for improvement. IT Support Help Desk and administrative support, such as invoice processing, is a cost associated with managing your print fleet that is often overlooked and can play an important part in effectively managing your print environment. The typical burden rate of IT Support Help Desk is $49/hour and Invoice Processing is $29/hour. Your MPS provider will calculate the number of hours you use these support services to determine your total monthly internal support cost; this figure will likely decrease with the implementation of your proposed Managed Print Services program. After taking your current print environment and business goals into account during the initial assessment, a MPS (Managed Print Services) provider can propose a plan designed for your business workflow. The list of services and supplies provided in a MPS program are important, and when they are put into action, their value becomes even more apparent. A MPS program is paid monthly, with no initial investment. Your MPS provider will supply any necessary equipment and manage your fleet, in addition to providing the following recurring supplies and services. With a Managed Print Services program the confusion caused by vendor variety and the time spent paying multiple invoices every month will be eliminated. You will have one vendor for supplies, maintenance and other services. Additionally, your toner usage will be tracked remotely by your MPS provider, so supply replacement becomes automated. Your replacement toner cartridges will arrive at your office shortly before your existing cartridges are empty. Based on your initial assessment, your MPS program will recommend proper copy/print volume usage and print load balance to extend the life of your equipment. After implementation your usage will be monitored. This information will allow your MPS provider to point out cost-saving opportunities as well as make adjustments to your program. Eliminate down-time and have all maintenance costs covered through Managed Print Services. Your MPS program will cover all travel time needed for on-site maintenance and repair as well as all equipment repairs, parts replacement and equipment replacement needed due to issues caused by normal use. All maintenance will be performed by a certified technician and comparable equipment will be used as replacements if repairs cannot be made cost-effectively. 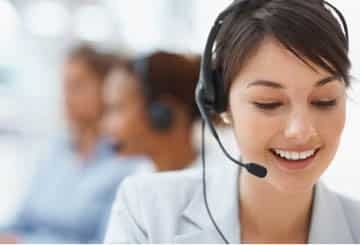 A quality MPS program will offer help desk support, available for your use during normal business hours. This is an extremely valuable resource for events that may occur that affect your printing technology, such as hiring (and training) a new IT employee, upgrading software or changing IP addresses. These services and the support offered through a MPS program will improve workflow and save your organization money. The goal of a MPS print provider is to help you achieve your productivity goals. They will make recommendations for equipment reconfiguration or relocation and usage for maximum efficiency. Additional recommendations may include functions and features for areas within your organization that would benefit from multi-function device capabilities. Managed Print Services, or MPS, is an ongoing partnership between you and your print provider. A MPS program is specifically designed for your organization’s printing needs and budget. Because your printing needs will change as your organization grows and evolves, your MPS program should too. When initially evaluating your printing needs, you most likely established goals you would like to achieve over time. Common goals companies set pertain to productivity, workflow, document management, security and controlling and reducing costs. One of the most important aspects of goal setting is establishing a process to measure and analyze progress. In order to accomplish these objectives, your Managed Print Services provider will conduct regular business reviews. During the review process you will analyze current performance data and how it may have changed since your previous business reviews. Your print provider will be able to identify areas where improvement was made and areas that still need attention. 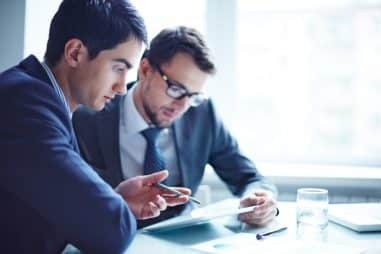 Here are some of the main components of a recurring business review and examples of how this information could help you make improvement adjustments. MPS providers will provide a report of all the service calls made for your organization’s print fleet. This data can be assessed to identify any common issues that may be occurring, as well as any major device or user concerns. For example, if the Help Desk is getting numerous calls about setting up emails on your printers, it may mean your employees could benefit from additional training or a provided “Cheat Sheet”, enabling them to address this issue them-selves. Or you may find, due to employee location changes, it may be time to reassess the placement of your print technology. A history report of your supply purchases will also be provided. This will allow you to compare these costs against your previous purchase history and budget. If you are like most organizations, you will most likely realize significant cost-savings at your first recurring business review. This information will give you a very comprehensive understanding of your organization’s current print performance and could help determine adjustments to equipment placement. For example, you may wish to move a specific device to be placed more closely to those who use it most frequently. In addition, you may be able to assess who is using what equipment most and determine if their usage is relevant to work type; if not, you can address the issue with supporting data. This report will provide a high level utilization overview of all managed devices. This general overview will highlight any major issues or concerns which can help you and your MPS provider define which issues need attention first. More detailed information can be found in the Device Utilization Report. As its name suggests, this report will provide the average monthly copy/print volume for each device on your Man-aged Print Services program. As you track this over time, you will be able to see if any devices are becoming less efficient with age. At a certain point, which varies per device, your MPS provider may recommend equipment relocation for aging devices, to a less active print area in your office. Or, if equipment is too old or unable to keep up with demand in any location and re-pairs are no longer cost effective, your provider will recommend replacement. 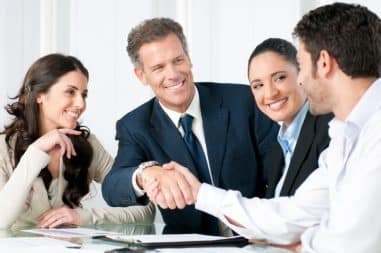 Finally, you will review your agreement with your MPS provider and address any questions or adjustments that arose during your recurring business review. MPS providers can help you save time and money and eliminate print-related frustrations for your organizations. Talk to an advisor today to see how a MPS program could help your organization. The average company invests thousands of dollars on printing, copying, faxing, scanning and distributing information. Managed Print Services can help you develop, plan, service and support your organization’s print strategy. We believe that our passion, experience and commitment to every project are why our customers count on us for their technology needs. To learn more about our Managed Print Services, start by requesting a consultation with one of our Copier/Printer specialists. Call us at 1-800-227-5133 today to set up your consultation!